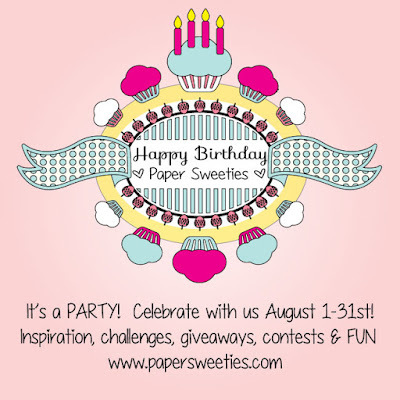 Hi and welcome to the next leg of the Paper Sweeties is Turning Four Blog Hop! 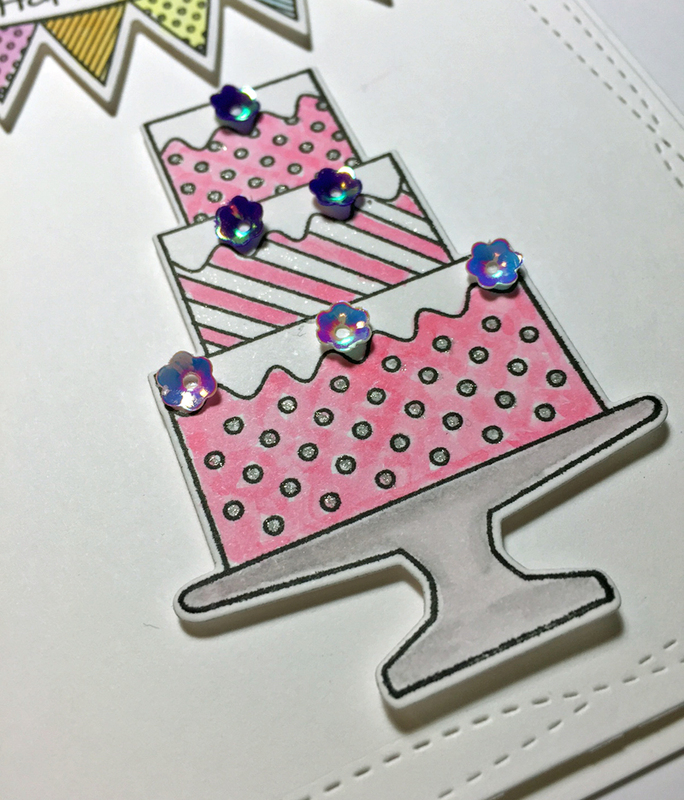 Once stamped and die cut I coloured the images with ZIG Clean Color Real Brush Markers and accented the cake with a silver and a clear Wink of Stella Brush and finished the cake off with some sequins. Tracey, wonderful card for Paper Sweeties!! Love the three tier cake and banner!! Love this! So pretty and so happy you joined us! Beautiful card, Tracey! It looks so fresh and bright and is perfect for Paper Sweeties big bash! So gorgeous! LOVING the banner and the cake!!!!!!!!!!!!!!!!!!!!! Such a SWEET card, Tracey!!! Tracey, your card is just beautiful!!! So happy to have you join us in the birthday celebration!! Love this birthday cake!! SO pretty!! Your birthday cake banner are so sweet, Tracey!! 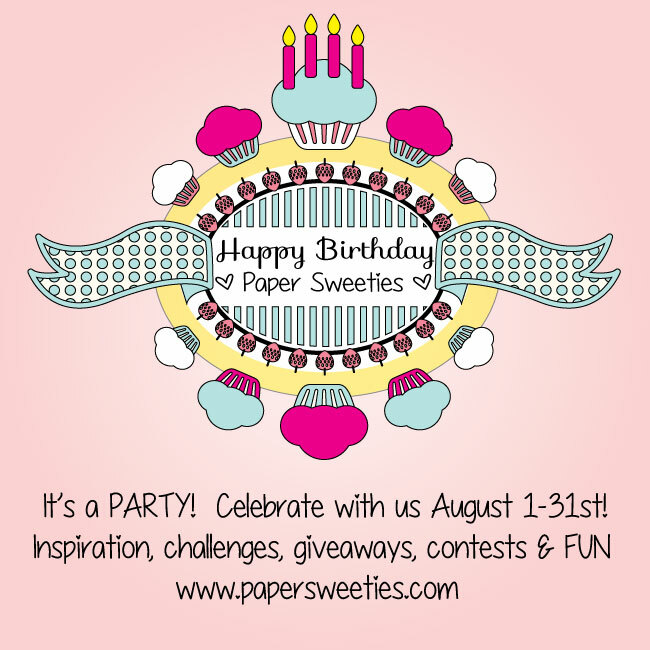 It's great having you in the Paper Sweeties birthday hop with us to share your creativity!!! Your card is darling Tracey! You've made the new Paper Sweeties products shine!! That banner is just perfect above the celebration cake and I love that sentiment. Oh this is adorable on that wonky stitched panel. Great way to show off the cake and banner. Perfectly delicious! 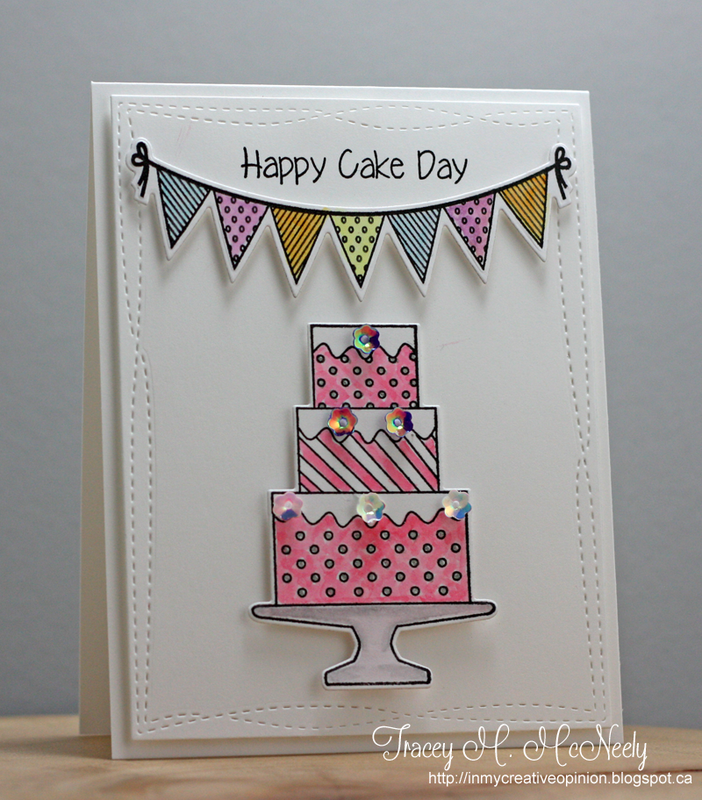 The PINK cake is so yummy and fun - especially with those sequins added for sparkle and fun! Love the fun banner - perfect for a party! Thank you so much for joining us for our 4th birthday celebration!!!! What an adorable cake Tracey and I love the banner!! This is such a sweet card!! Tracey, you rock! Cutest cake ever! And in PS pink... adorbs! Love the happy banner too. Hugs! Sweet card! The banner is gorgeous and I love the cake! Those sequins are fabulous! Such a sweet cake and I love the banner! Love this, Traecy!! Super dooper cute!!! Really fun card and beautiful coloring, Tracey! 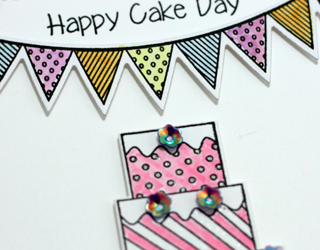 You've showcased the Paper Sweeties goodies perfectly! Another incredible party card. Love that three layer cake, looks good enough to eat! Cute as can be! Totally in love with that little banner, and all the gorgeous colors really pop against your field of bright white!